For many in the Pacific Northwest, it has been a dream to one day watch a Cascadia flag fly from the top of the Seattle Space Needle. Now, we can do better. The free contest, which is open for submissions until September 20, can be found at the Space Needle’s website, spaceneedle.com/topthis.html. 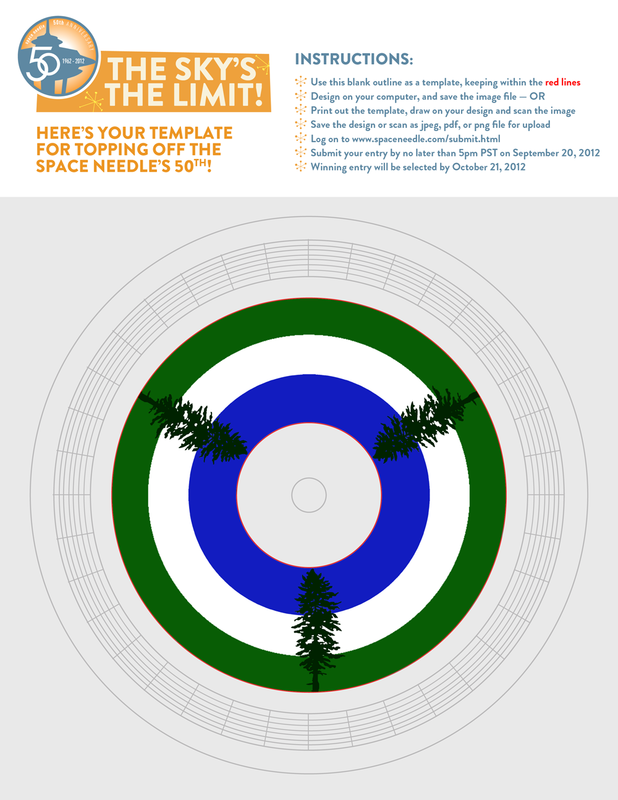 Aspiring contestants can download a blank vector image in the Needle top’s distinctive doughnut shape, then fill it in with whatever design they choose – like, as in one already-submitted design, blue, white, and green stripes with three of the Cascadian flag’s Douglas Fir trees spaced at equal intervals around the circle. The possibilities are endless! Those with graphic design interest may wish to depict iconic scenes of Cascadia – the flag flying atop a mountain, a soccer match or on a backdrop of the Pacific coast. Those (like the CascadiaNow artistic staff) whose talents are limited to drawing stick figures in Paint may find themselves taking a somewhat less grandiose approach – but all submissions are encouraged! More than one application is possible per contestant, so don’t worry about finding that single perfect design – submit several! Anyone who makes a submission can trend on twitter with #topthis, make it visible with #Cascadia and make sure to let us know, either by emailing us at cascadianow@gmail.com or @cascadianow and we’ll make sure to repost your design.